8 years ago today I married my soul mate. The one I can tell anything and everything to. The one who makes me laugh on a daily basis. The one who has been there for me through all of life's ups & downs. The one I fell in love with at the age of 18 & never looked back. The one who is not only an amazing husband, but the an amazing father. 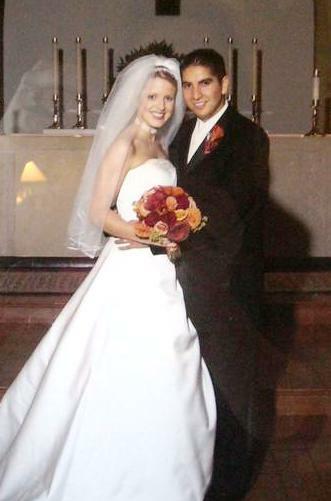 8 years ago today I said "I do" & have been head over heels in love with him ever since. I love you Eric & I can't wait to spend the rest of our lives together.